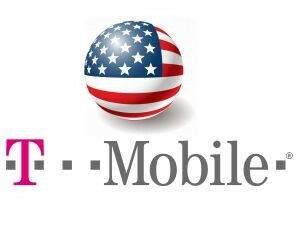 If you’ve been thinking about upgrading your device or even changing carriers, T-Mobile is offering some major deals for the upcoming Memorial Day weekend that may help you make a move. First off, if you’ve had your eye on the new Samsung Galaxy S or S6 Edge, you can get a free memory upgrade for this weekend only; that’s right, you can get the 64 MB model of the phone for the price of the 32 MB version as T-Mobile is giving buyers a $50 Visa gift card with their purchase. Also the new Stylo and Leon will be available with options to purchase or for a monthly fee. The Stylo will be $289.92 in full or $12.08 a month while the Leon will be $149.76 or $6.24 per month with prepaid customers can get the Leon for free via online rebate. If the T-Mobile deals weren’t enough, T-Mobile owned MetroPCS is offering great deals as well with the Stylo offered at a price of $199 and the Leon for $49 after online rebates. If you’re considering switching to MetroPCS, you can get a free LG Leon or $50 toward a phone of your choice. Finally, the 4×100 deal is back which offers 4 lines with unlimited talk, text, and 2GB of data per line for only $100! If you’ve been waiting to make change, T-Mobile is giving some great reasons here to make a move and save! With numerous phone options and special pricing deals, it’s hard to go wrong. Find out more information on the T-Mobile site.